China's central bank is rushing to calm fears over the yuan's plunge in recent days. The yuan lost ground again Thursday, extending the drop over the past three days to more than 3%, following a move earlier in the week by the People's Bank of China to allow market forces more influence over the currency. The central bank said Thursday that it expects the yuan's plummet to abate, as circumstances no longer call for continued depreciation. "After a two-day adjustment, the [yuan] has gradually returned to a more market-oriented level," PBOC official Zhang Xiaohui said during a rare press conference. "The one-time total depreciation of around 3% is largely finished ... and is a necessary phase in exchange rate reform." The yuan had remained quite strong against other global currencies, appreciating roughly 10% since 2014, she said, adding that a depreciation was always in the cards, and was needed to keep the exchange rate stable against the dollar. After a rough morning session, the yuan pared some losses following the press briefing, hovering around a 0.2% drop at 6.40 yuan per dollar. China's government has in the past tightly controlled the yuan, allowing the currency to move within a 2% band from a midpoint exchange rate set daily by the central bank. 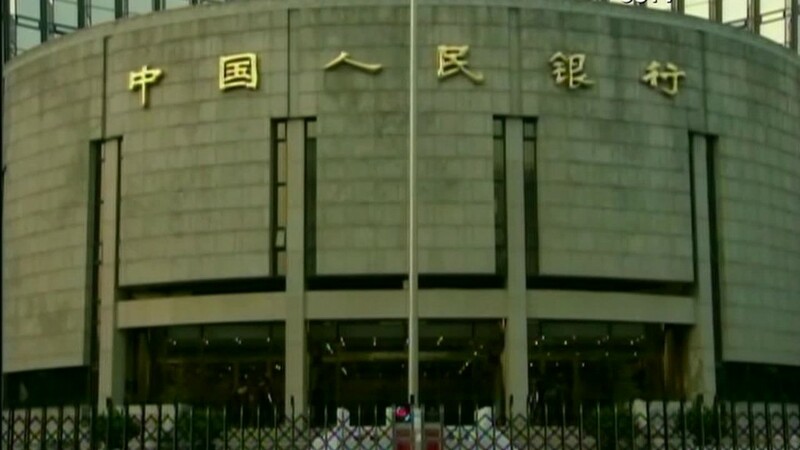 But in a surprise announcement on Tuesday, the central bank cut its daily reference rate by 1.9%, triggering the yuan's biggest drop in over two decades. It also said that, going forward, the midpoint would be determined using the previous day's closing price. The unexpected move caused a major sell off on Wall Street, unleashing waves of speculation over an impending currency war, an imbalance in international trade and even how it might affect U.S. monetary policy.